It’s all happening! Opening day at Fairhaven Farm, tomorrow! The day has come, or is soon to come. We’ll be officially opening our farm store TOMORROW, August 19th, for self serve. The cooler will be stocked with bags of Zestar!, State Fair, and 1837 apples, as well as Summercrisp pears. We also have our wide variety of jams available to purchase, and apple pies will be available by the weekend. 1.) What are these apple varieties like? Zestar! has what we like to call a sweet-tart combination, known for possessing a very well balanced flavor. It’s good for eating, and especially good for pie. These apples will keep in the fridge for up to a month! 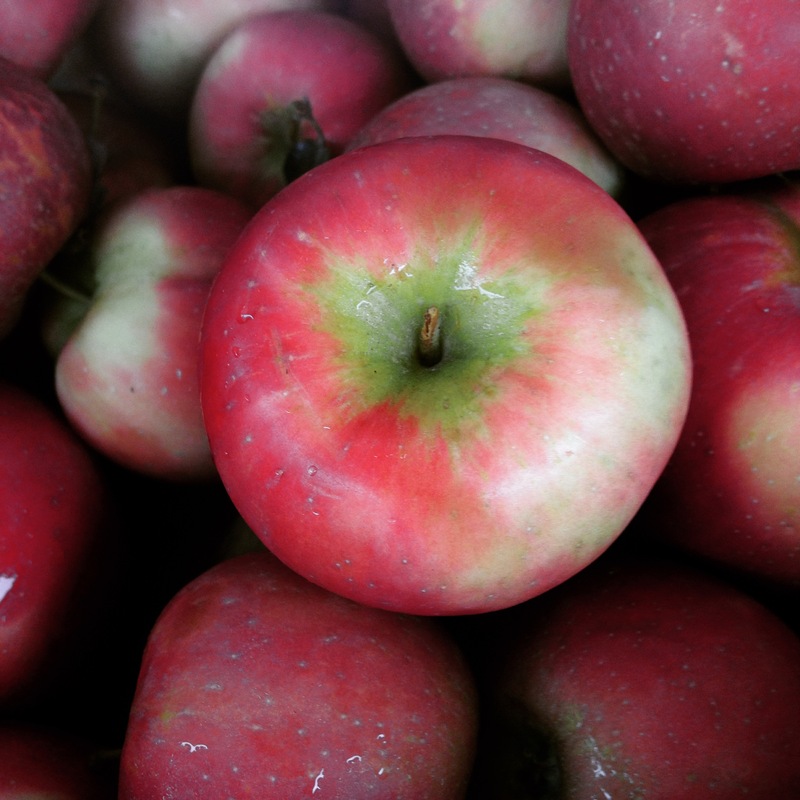 State Fair’s soft texture and short storage life makes it a great baking apple. Some people swear by it as a fantastic sauce maker. 1837 is sometimes called the zestier Zestar! because it’s related to the well-known variety, but more tart. For all you Haralson or Granny Smith lovers out there, this is the apple for you in the early season. 2.) When will you be doing U-Pick raspberries? There is no good answer for this question. In short, we’re not sure. Right now the fruit development is still picking up speed and we need the berries for our own purposes. We promise to announce here on the website, and on our answering machine, once the patch is ready for all of you. So don’t worry, you won’t miss it! 3.) When will the maze be open? Hopefully by Labor Day weekend, though again, we’ll announce it on the website as soon we’ve determined the official date. 4.) When will I be able to buy Kindercrisp apples? We estimate we’ll begin picking Kindercrisp in a couple of weeks. Remember, all harvest dates are just estimations. We’ll do our best to predict the future, but it’s ultimately up to mother nature when fruit is ready for our eager stomachs. 5.) What are your hours? The farm store is open everyday, 10am-6pm, for self-service. *On a side note, follow us on Instagram @fairhavenfarmmn to get our most current updates and pics from the farm!